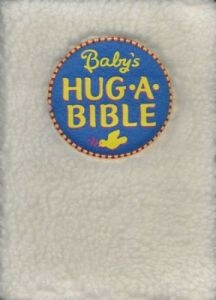 A soft and cuddly fleece covered Bible for little ones! A Bible you can hug! In this soft and cuddly book, little ones will find a collection of ten favorite Bible stories in rhyme, filled with comforting truths and promises. Keep God's word close to baby's heart in this perfect introduction for the very young to the stories of the Bible and to God's great love for them. Ages 1-4yrs.